Tubey Toys Review: Video and DIY for Kids! 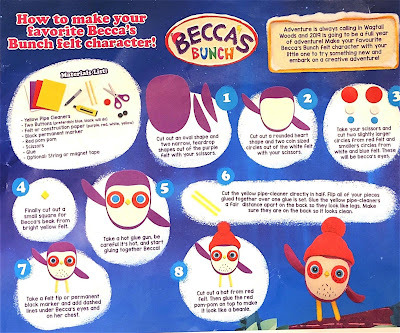 New Nick Jr. Show Featuring Becca's Bunch Easy How to Make Becca Craft! Video and DIY for Kids! New Nick Jr. Show Featuring Becca's Bunch Easy How to Make Becca Craft! Becca’s Bunch is a new show on Nick Jr. that is geared toward pre-schoolers. Becca's Bunch follows the adventures of adorable animals Becca, Pedro, Sylvia, and Russell. Along with their fun adventures, children will be taught the art of friendship! The group’s friendship is a strong one cultivated on positive thinking, support, encouragement, and fun! Already my son relates to this adorable series with their characters’ adventures especially Pedro the Worm; Pedro wears glasses just like him! Children will love the arts and crafts style animation as each character looks carefully handmade. The storylines of friendship and positivity truly make each episode a lesson of learning and will be very memorable for your child. My five-year-old son, Marcello, always calls back to Becca episodes and compares them to experiences at school. One episode with Pedro the Worm having stage fright and his trusty friend Becca helped him get through his fear so he could perform on stage with his friends. The episode helped Marcello with a show and tell at school, a friend of his didn’t want to speak in front of the class, so Marcello started the presentation just like Becca did for Pedro before they sang on stage. If you want to continue the adventures of Becca’s Bunch in your home, then definitely try out this adorable craft below! 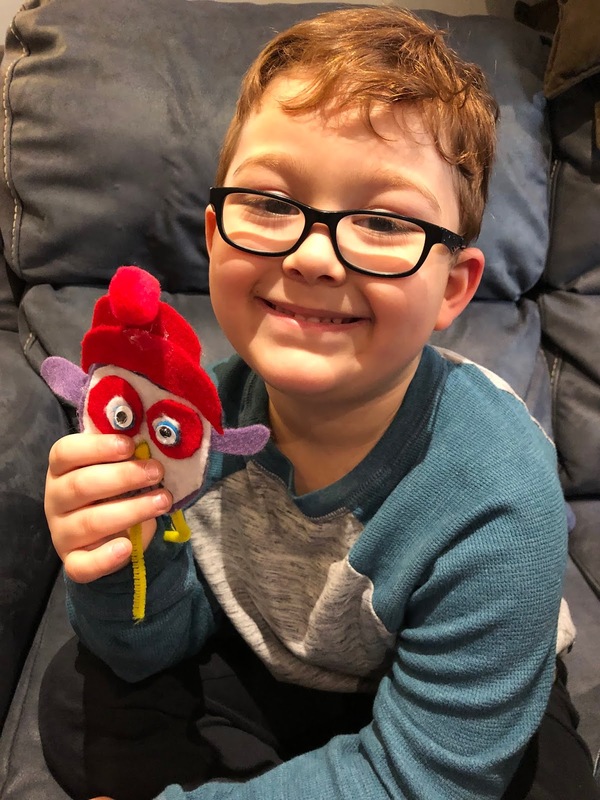 Becca’s Bunch sent us a really cute do-it-yourself craft, and I think you and your little fan of Becca’s Bunch will love to create it together! Check out the materials list below, and the easy peasy printable! Big thank you to Becca’s Bunch for sending us this adorable craft for Marcello and me to do! Stay tuned to our channel and blog for a Becca’s Bunch Valentine’s Day themed craft next! Becca's Bunch Craft - Download the Instructions here. You can also use this super easy stencil printable for an easy guide! Cut the purple material into an oval for the body, and two long teardrops for Becca’s wings. Then cut the white material into a squished circle (see photo) for the inner body. Then cut two small blue circles, two slightly larger white circles, and finally cut two red quarter (coin) sized circles - all three of these will be layered for the eyes. Keep in mind the googly eyes or the small black buttons should be slightly smaller than the blue circles. Cut a very small diamond-shaped beak for Becca. Then with the red material, you will cut the hat in two pieces - long sized kidney bean with a convex semicircle. 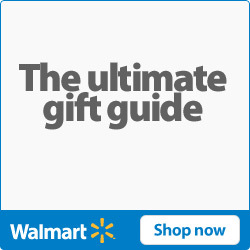 Fold your yellow pipe cleaner in half and cut, these are for her legs. Don’t trim until the legs are attached. Now that everything is cut, piece it all together by layering it from the bottom up and glue! You can add some more detail by having your kiddo draw on her feathers. Once complete, your little one will be able to go on adventures with Becca! Soon Jakks Pacific will be releasing toys for Becca's Bunch! You can also turn Becca into a puppet by attaching a string, or even add a magnet to the back to display on your refrigerator! Be sure to also share your Becca’s Bunch creations with them on Instagram @beccas_bunch and @beccasbunch on Facebook! Big thank you to Becca’s Bunch again for sending us this adorable craft! You can watch Becca’s Bunch on Nick Jr.